Thursday saw 5by's personalized video recommendation service and Moodies' long-awaited verbal emotion analysis enter the App Store fray, while a new report suggested that a SwiftKey-enabled note taking app could soon makes its own debut. 5by, owned by web discovery platform StumbleUpon, helps users discover new videos tailored specifically to them. The app employs a combination of user profiling, time of day, and the amount of free time the user wants to dedicate to watching videos to create curated, personalized playlists. 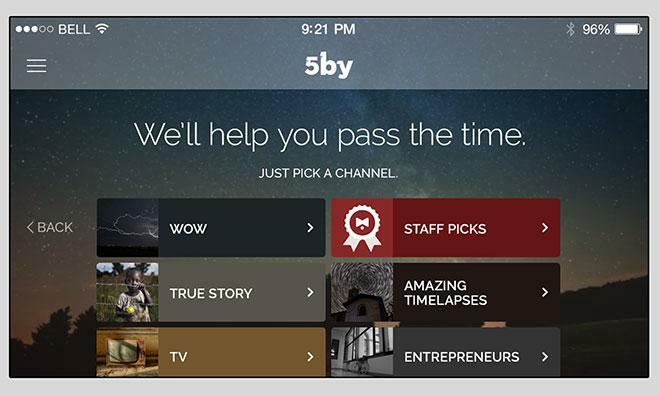 The company says 5by learns users' preferences over time, and video streams are continuous. Users can add time-based comments with custom emoticons as well as mark videos as favorites for later reference. 5by is available now as a free, 29.3-megabyte download from the App Store. Moodies analyzes users' voices and provides individual assessments of the speaker's mood. 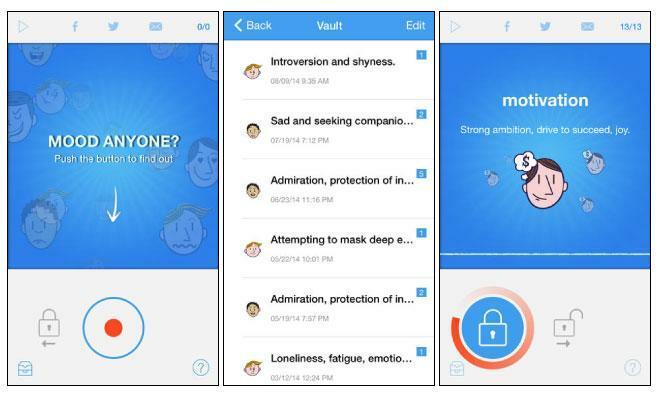 After listening to 15 seconds of speech, the app can identify primary and secondary moods as well as an 'overall' mood category. The app can perform a quick one-off analysis, or it can be set to listen and analyze continuously. Previous analyses are stored in a 'vault' and can be replayed, edited, and tagged. In addition, users can share the analysis via email or on Facebook and Twitter. Moodies is available now as a free, 4.4-megabyte download from the App Store. Those pining for an iOS adaptation of SwiftKey's gesture-based keyboard may soon find their wish granted. 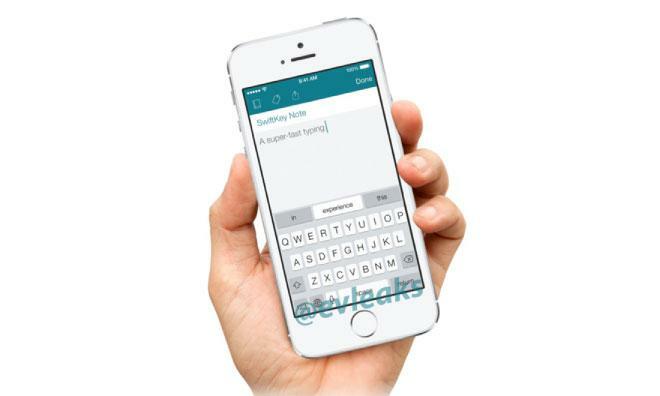 A purported screenshot of an upcoming SwiftKey-enabled note taking application, fittingly named SwiftKey Note, has surfaced from reliable Twitter leaker @evleaks. If legitimate, SwiftKey Note would be the second native iOS app featuring the SwiftKey keyboard. The company also offers a bespoke solution for medical professionals entitled SwiftKey Healthcare which lets doctors and nurses add notes to patients' electronic medical records using the keyboard. SwiftKey is a popular keyboard replacement on Android devices, featuring an advanced prediction and correction engine. The keyboard's most recent update brought the new Flow feature, which allows users to type without lifting their fingers from the display in a manner similar to rival alternative keyboard Swype.